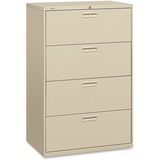 Looking for a filing cabinet for your office, but not sure of the differences? Looking at the anatomy of a filing cabinet can help you decipher which one best fits your work. 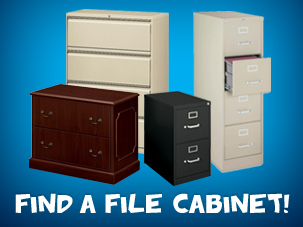 Below, we outline the different types of filing cabinets to help find the best one for you! 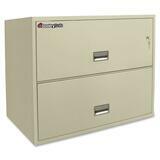 Lateral files are great for offices with tight spaces. They usually feature a rollout shelf in the top drawer for side-to-side filing, and support both letter and legal sized folders. Vertical files tend to require more space, and are found in traditional offices. They can be placed in a corner to stay out of your way, and usually offer two to six drawers. For short-term storage and versatility between rooms, choose a mobile file. 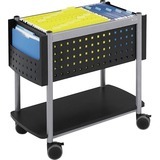 Mobile files can also easily slide under work surfaces. These are best for important documents that need to stay safe. Be prepared with a filing cabinet that’s fire and hazard resistant to keep documents safe in case of a natural disaster. 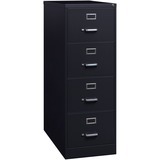 Need a specific number of drawers or a cheap filing cabinet made from a specific material?